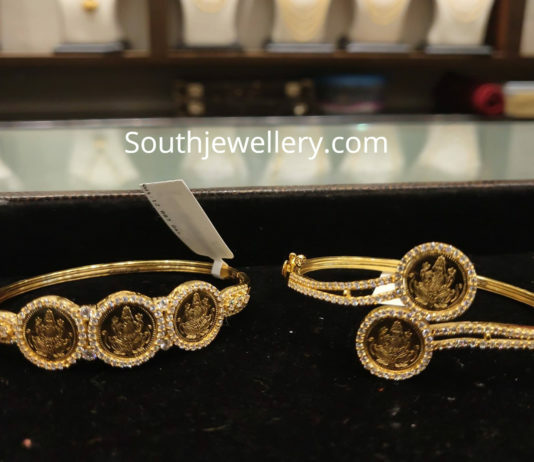 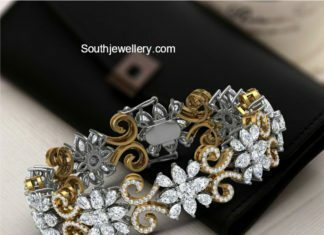 Two toned floral diamond bracelet by VNJ Jewellers. 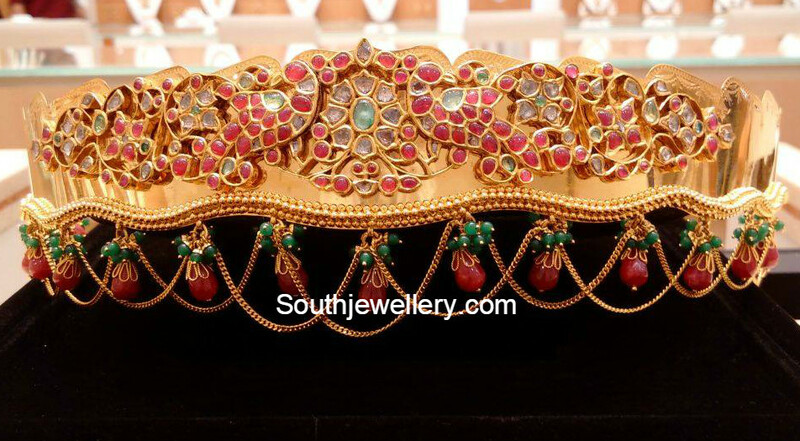 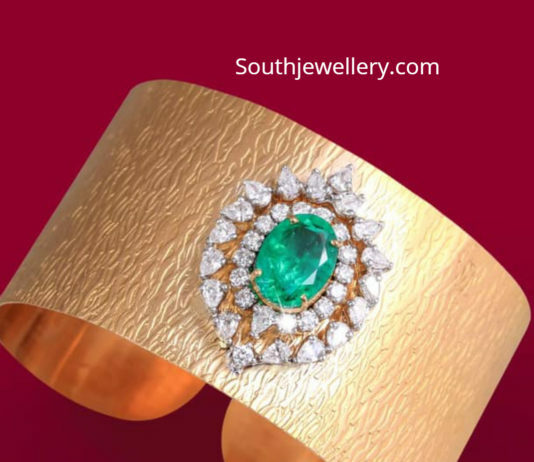 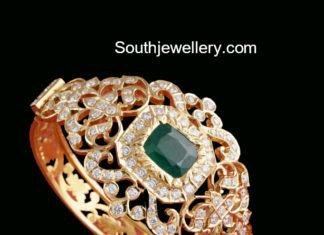 22 carat gold antique broad bracelet studded with uncut diamonds, rubies and emeralds. 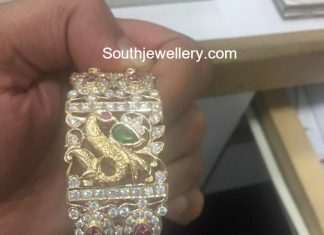 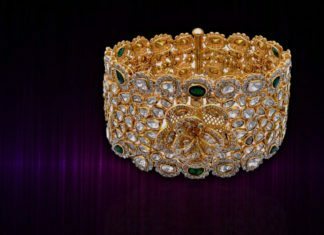 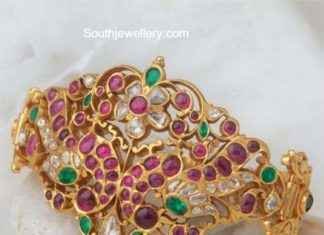 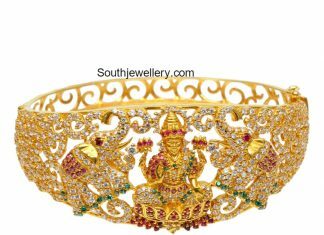 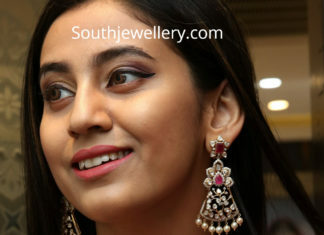 18 carat gold peacock bracelet studded with diamonds, rubies and emeralds by Sambav Diamonds, Bangalore.